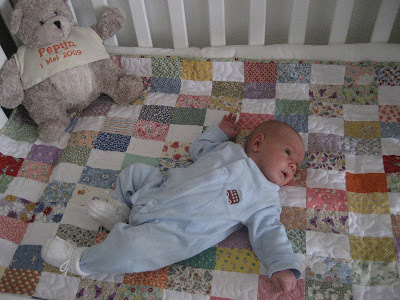 I made this quilt for Pepijn, the grand son of one of my friends. Here you see him on the quilt. Beautiful quilt and a sweet little baby.